Twelve, 12 oz. hand-crafted beers each month from two different lightly distributed U.S. Microbreweries. You'll get four different beer styles, three of each style. The club that started it all back in 1994! Our original U.S. Microbrewed Beer Club is focused solely on finding the best American-brewed craft beers and delivering them to you or your gift recipient’s door each and every month. We bring you an impressive variety of styles, both within each monthly shipment as well as from month to month – including seasonal styles like summer ales, winter warmers, and Oktoberfest lagers. Every beer is brewed to order by our featured breweries for the ultimate in fresh-tasting American craft beer. In addition, each shipment of our original U.S. Microbrewed Beer Club includes our Malt of the Earth newsletter profiling the people behind each brewery and their unique stories, as well as thorough tasting notes for each beer, recommended food pairings, beer specs (including style, malts & hops used, ABV, IBUs, etc. ), and more! 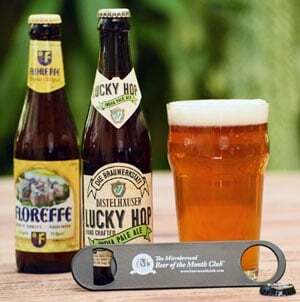 Plus, all U.S. Microbrewed Beer Club members can re-order their favorite beers while supplies last – membership has its privileges!